The quest for extrasolar planets is one of the most interesting areas within modern astronomy. But how can astronomers find planetary bodies around distant stars? In their search for extrasolar planets, scientists employ several important techniques. These techniques include: pulsar timing, Doppler spectroscopy, astrometry, transit photometry, and gravitational microlensing. Astronomers accomplished the first widely accepted detection of extrasolar planets (namely, pulsar planets) in the early 1990s using the pulsar timing technique. Earth mass and even smaller planets orbiting a pulsar were detected by measuring the periodic variation in the pulse arrival time. However, the planets detected are orbiting a pulsar—a dead star, rather than a dwarf (main-sequence) star. What is encouraging, however, about the detection is that the planets were probably formed after the supernova that resulted in the pulsar, thereby demonstrating that planet formation is probably a common rather than a rare astronomical phenomenon. Astronomers may use Doppler spectroscopy to detect the periodic velocity shift of the stellar spectrum caused by an orbiting giant planet. Scientists sometimes refer to this method as the radial velocity method. Using ground-based astronomical observatories, spectroscopists can measure Doppler shifts greater than about 9.8 feet per second (3 m/s) due to the reflex motion of the parent star. This measurement sensitivity corresponds to a minimum detectable planetary mass equivalent to approximately 30 Earth masses for a planet located at one astronomical unit. This method can be used for main-sequence stars of spectral types mid-F through M. Stars hotter and more massive than mid-F spectral class stars rotate faster, pulsate, are generally more active, and have less spectral structure, thus making measurement of their Doppler shifts much more difficult. As previously mentioned, using this technique, scientists have now successfully detected many large (Jupiter-like) extrasolar planets. 0.4-Jupiter-mass planet in a four-year orbit around a star to a distance of 1,630 light-years (500 pc). From the ground, modern telescope facilities, such as the Keck Interferometer (in Hawaii) can measure angles as small as 20 micro-arcseconds, leading to a minimum detectable planetary mass in a one AU orbit of 66 Earth masses for a one solar-mass star at a distance of 32.6 light-years (10 pc). The limitations to this method are the distance to the star and variations in the position of the photometric center due to star spots. There are only 33 nonbinary solarlike (F, G, and K) main-sequence stars within 32.6 light-years (10 pc) of the Earth. The farthest planet from its star that can be detected by this technique is limited by the time needed to observe at least one orbital period. The Space Inteferometry Mission (SIM), also called SIM PlanetQuest, is NASA's planned Origins Program mission now scheduled for launch in 2011. The SIM PlanetQuest spacecraft will be the first that has as its primary mission the performance of astrometry by long-baseline interferometry. 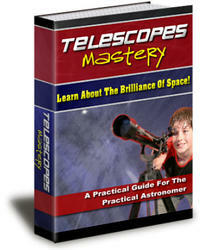 Astrometry involves the precise measurement of the positions and motions of objects in the sky. Free from the distortions and the noise of Earth's atmosphere, and with a maximum baseline of 32.8 feet (10 m), SIM will enable astronomers for the first time to measure the positions and motions of stars with micro-arc-second accuracy. This represents a capability of detecting the small reflex motion of stars induced by orbiting planets a few times the mass of Earth. SIM will conduct a detailed survey for planetary companions to stars in the solar neighborhood and will give scientists a more complete picture of the architecture of plan etary systems around a representative sample of different stellar types. SIM will determine the positions and distances of stars throughout the Milky Way hundreds of times more accurately than any previous program and will create a stellar reference grid, providing a visible-light astronomical reference frame with unprecedented precision. Against this reference frame, SIM will measure the internal dynamics of the Milky Way galaxy and the dynamics in the local group of galaxies, measure the photometric and astrometric effects of condensed dark matter in the galactic halo, and calibrate the brightness of several classes of astronomical "standard candles." The Michelson Science Center (MSC) is responsible for developing and operating the Science Operations System (SOS) for SIM— including program solicitation, user interface and consultation, data infrastructure, and (jointly with the Jet Propulsion Laboratory [JPL]) science operations. one AU orbit about a one solar-mass star; or, with four years of observing, transit photometry can detect Mars-size planets in Mercury-like orbits. Mercury-size planets can even be detected in the continuously habitable zone of K and M stars. Planets with orbital periods greater than two years are not readily detectable since their chance of being properly aligned along the line of sight to the star becomes very small. Giant planets in inner orbits are detectable independent of the orbit alignment, based on the periodic modulation of their reflected light. The transit depth can be combined with the mass found from Doppler data to determine the density of the planet as scientists have done for the case of a star called HD209458b. 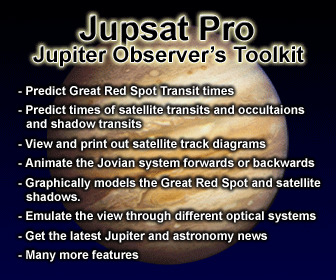 Doppler spectroscopy and astrometry measurements can be used to search for any giant planets that might also be in the systems discovered using photometry. Doppler spectroscopy is based on the phenomenon called Doppler shift and the fact that a star does not remain completely stationary with respect to a planet orbiting around it. The parent star actually moves ever so slightly (in a small circle or ellipse) in response to the gravitational tug of a lower mass planetary companion. When observed by astronomers from Earth, these subtle movements cause a Doppler shift in the star's normal spectrum of light. If the star is being tagged slightly toward the observer, then its spectral light will appear slightly shifted toward the blue portion of the spectrum. Conversely, if the star is being slightly tugged away from Earth by its planetary companion, then its characteristic spectral light will appear slightly shifted toward the red portion of the spectrum. Since the orbital inclination must be close to 90 degrees to cause transits, there is very little uncertainty in the mass of any detected giant planet. Photometry represents the only practical method for finding Earth-size planets in the continuously habitable zone. In the gravitational microlensing approach to extrasolar planet detection, scientists take advantage of an interesting physical phenomenon that is associated with Einstein's general theory of relativity—namely that gravity bends space. In May 1919, the British astronomer Sir Arthur Eddington (1882-1944) led a solar eclipse expedition to Principe Island (West Africa) to measure the gravitational deflection of a beam of starlight as it passed close to the Sun. His successful experiment provided early support for Einstein's newly introduced general relativity theory. Astrophysicists say that the presence of a very massive object (such as a star) warps the space-time continuum, causing a beam of light from a distant source to bend, as first demonstrated by Eddington in 1919 and by many other experimenters since then. When a planet happens to pass in front of a parent star, the planet's gravity will actually behave like a lens and focus the rays of starlight. This causes a sharp but temporary increase in the parent star's brightness and an apparent change in the star's position when viewed by an observer along the line-of-sight. Consequently, astronomers sometimes find it convenient to use the effect of gravitational microlensing to detect (massive) objects that do not emit their own light. The parent star's light is focused (through gravitational microlensing) by gravity as a planet passes between the star and Earth.